7517 S. Virginia Dare Trl. 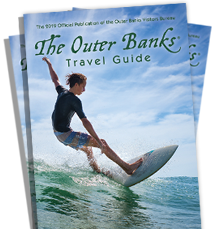 Whalebone Watersports, located out of Nags Head off the causeway towards Manteo is a premier waterfront facility! 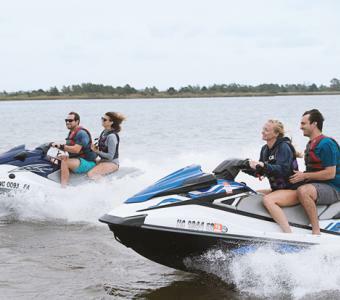 With Jetski and Pontoon rentals available for personal use, we've got the adventures to satisfy your water needs! Kitty Hawk Kites offers endless recreation at Whalebone Junction in South Nags Head! Stop by our waterfront store, visit us online or call 1.877.FLY.THIS for more information on the available activities. With more than 15 locations from Corolla to Ocracoke, Kitty Hawk Kites is the largest retailer of kites, toys, flags and wind art on the Outer Banks. You’ll also find a leading selection of quality resort apparel, footwear, t-shirts, sweatshirts, sunglasses, gifts, recreation equipment, beach gear and more. Find a store near you with Kitty Hawk Kites' location finder, or get right to shopping online. Call today to reserve your pontoon boat! 10% OFF for military personnel. Call 1-877-FLY-THIS!